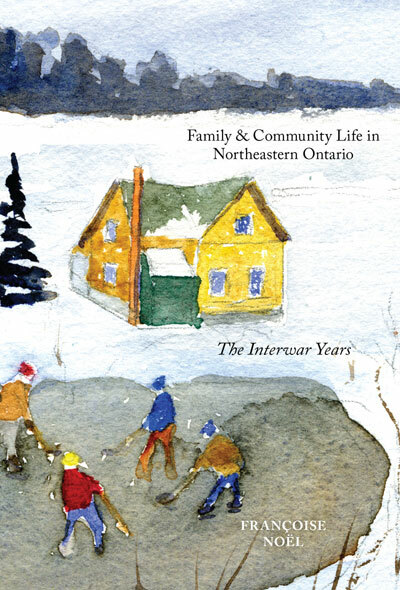 Family and Community in Northeastern Ontario: the Interwar Years is based on research conducted with the support of a SSHRC grant received in 2004. The project focussed on the area extending from North Bay to Mattawa and included the rural areas of Corbeil, Astorville, and Bonfield. Oral history interviews were conducted as part of this research. The Nugget was examined in depth for local material in the years 1925 and 1935 and as necessary other years. As well as family life and celebrations the book looks at schools, churches, sports, and community recreation and celebrations including Old Home Week. Many of the interviewees generously allowed me to copy some of their family photos for this project some of which have been placed online: Family Photos. “Old Home Week Celebrations as Tourism Promotion and Commemoration: North Bay, Ontario, 1925 and 1935,” (Urban History Review, Fall 2008) compares the first two Old Home Week celebrations in North Bay. It is based on the souvenir books produced, newspaper and other printed sources. 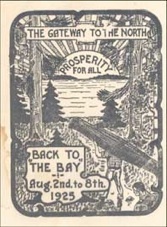 In 1925 the focus was on Old Timers and the fact that North Bay was receiving its charter as a city. In 1935, the Dionne Quintuplets had already become a major tourist attraction and North Bay wanted to capitalize on the stream of tourists coming north. For documents and images relating to these two Old Home Week celebrations, click here. 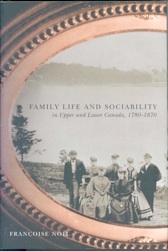 Family Life and Sociability in Upper and Lower Canada examines family life in the early nineteenth century using numerous diaries and correspondence between family members in both Quebec and Ontario. Some of the families looked at in more detail include those of Amédée Papineau and his wife Mary Westcott, Robert and Eliza Hoyle, Susanna Moodie, Abraham Joseph, Ludger and Reine Duvernay, William Douglas, Marcus and Lydia Child, William Price, Ann Wrong and Frances Tweedie. The book is divided in three parts: the couple, parents and children, and kinship and community. The book was cited by the “I Do: Love and Marriage in 19th Century Canada” web site at LAC which I was asked to consult on. 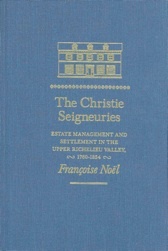 The Christie Seigneuries (McGill-Queen’s, 1992) examined the settlement and development of five seigneuries in the Upper Richelieu Valley belonging originally to Gabriel Christie: Bleury, Noyan, Sabrevois, Delery, and Lacolle, prior to 1854. This research continues to be of interest to genealogists and I am therefore providing a copy of the Upper Richelieu Valley Database of deeds of concession I created for that research for their use. Since completing this research I have also become aware of a full size portrait of Christie an image of which is also on the Christie Page. Competing for Souls examined the settlement and opening of churches in the Eastern Townships region of Quebec to 1851. 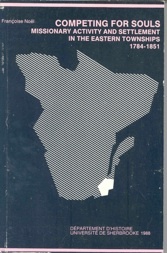 It has been published by the University of Sherbrooke in its series on the Eastern Townships. Originally my MA thesis, this book resulted from my personal connection to the Eastern Townships. My paternal grandfather, Albert Noël, son of David Noël, came from Woburn; my maternal grandparents, Boivin and Lafosse, came from Coaticook. I knew very little about the Eastern Townships when I started this study, having grown up in Alberta.